A Beautiful SINGLE STORY HOME located on a quiet neighborhood in the much desired city of San Dimas & within the Award Winning Bonita School District! This ideal home has been Meticulously Well Maintained & Renovated. **NEWER** UPGRADES THROUGHOUT The INTERIOR INCLUDE: Central Air/Heating & Ducts, Tankless Water Heater, Copper Plumbing, Recessed Lighting, Double Paned Windows & Slider, Shutters on Windows & Slider, Tile & Laminate Wood Flooring. KITCHEN:**NEWER** Granite counters, cabinets, built in microwave. LIVING ROOM:**NEWER** Front Door. MASTER BEDROOM:**NEWER** Custom Built Closet w/Elegant Wood Design. BATHROOMS:**NEWER** cabinets, granite tile, tile flooring, tile shower enclosure. 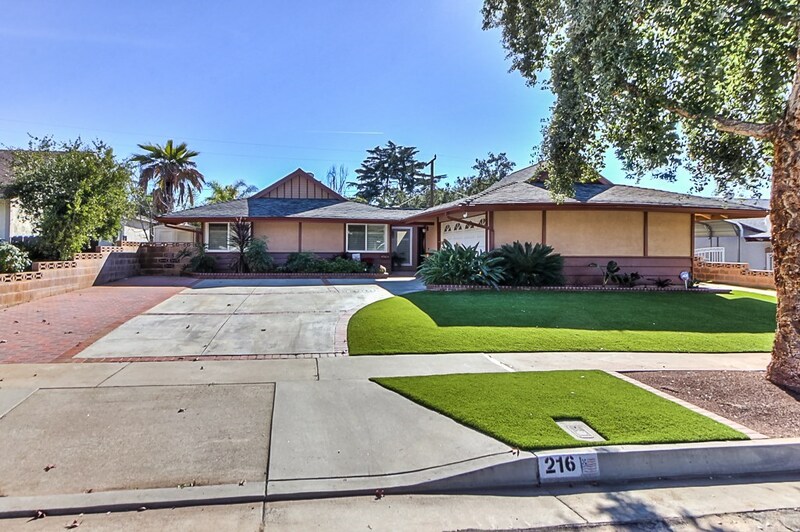 The EXTERIOR has been designed for beauty, the ultimate in low maintenance, & significant water savings which includes: Beautiful Artificial Turf installed in both front & back yards, irrigation tubing for front flower beds & trees. Concrete paved driveway decoratively enhanced with pavers & brick. **NEWER** exterior Stucco Paint. In backyard Alumawood Patio Cover-no maintenance required, Stamped Concrete, block walls, NEWER Fiberglass Spa (to stay with purchase) seats 6 with spa cover & gazebo cover. 2-CAR GARAGE: washer/dryer to stay, Epoxy flooring, dry walled, cabinets, garage storage attic. Close to parks, shopping, restaurants, old town & downtown San Dimas. Short drive to 210/57/10 fwys, Bonelli Park, Puddingstone Lake, Raging Waters, Cal Poly Pomona, & multiple shopping centers.